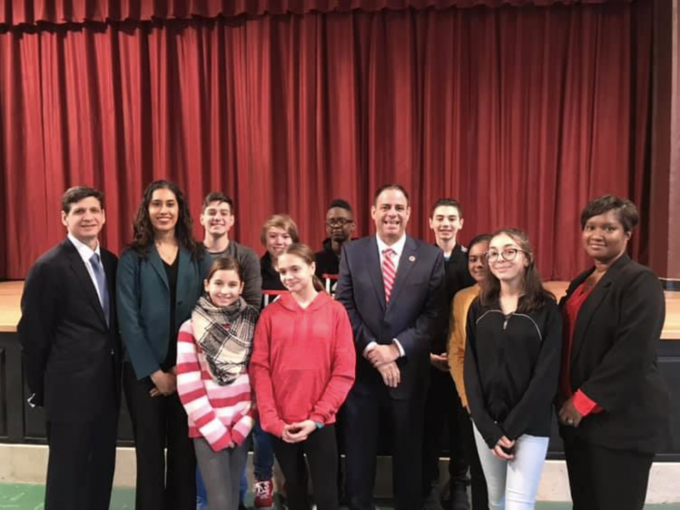 A handful of elementary and middle schools in Astoria and Long Island City will have solar panels installed in a green initiative announced yesterday by Council Member Costa Constantinides. Six schools will see the panels installed over the next two years in an effort that aims to teach students about climate change and renewable energy while promoting a cleaner power grid. “Students will be able to see how renewable energy directly improves their daily lives, empowering these future leaders to understands the needs of powering a city in the 21st century,” Constantinides said in a statement. The announcement was made at I.S. 141, one of the schools under the new solar panel program, with funding allocated by the Department of Citywide Administrative Services for the effort. “We are helping the kids in those schools learn about climate change, and we’re all taking another step together toward preventing it,” said Lisette Camilo, DCAS Commissioner. DCAS is also funding panels on P.S. 151, Junior High School 10 and I.S. 126. P.S. 171 and P.S. 122 in Astoria are also participating under the program, with funding allocated to the schools by Constantinides, Speaker Corey Johnson and Borough President Melinda Katz. The School Construction Authority will begin to work on installation this summer. As part of the solar panel initiative, each selected school will have a monitor that shows how much renewable energy is created, which will also put into context the amount of greenhouse gases and fossil fuels that would have been emitted and burned at the location without the panel. I.S. 141, for example, is estimated to save 31 metric tons of greenhouse gas emissions every year with the solar panels. More than 100 schools, additionally, are expected to get solar panels in the coming years. The initiative, according to the administration, is in line with its goals to reduce greenhouse gas emissions by 80 percent before 2050. Great idea. Hope more schools can participate. This is totally unrelated, but I just remembered how at one point solar panels were at the White House, possibly while Carter was President. Why were they removed? Decor?